Here at Clarity, we are extremely proud to be supporting a wonderful local community organisation and resource. 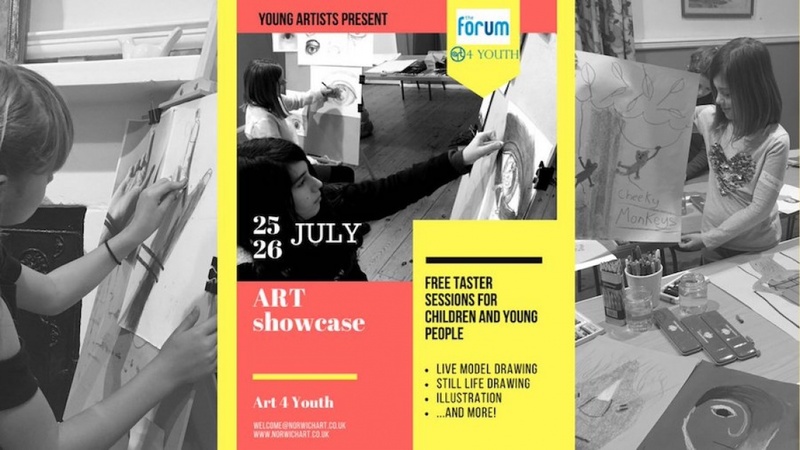 On 25th and 26th July, Art 4 Youth will be running a 2-day open event at The Forum in Norwich. The event is free to attend and will feature a broad range of activities and workshops designed to provide children and young adults with the opportunity to create some exciting forms of visual art. All are welcome and everyone is encouraged to take part in this hands-on event, featuring taster sessions in live and still drawing, illustration, portrait drawing and many more art and fun activities. So if you’re looking for an exciting and inspiring way to kick off the school holidays, the The Forum is the place to be. Come and join Art 4 Youth and celebrate the joy of creative art. We are extremely pleased to be supporting this fantastic event and look forward to helping Art 4 Youth connect with many more young people in the Norwich area over the months and years to come. JOIN US TODAY! Sign Up below to receive our newsletter and be among the first to receive Clarity’s latest business news, success tips and giveaways.